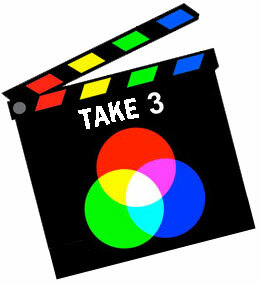 Do you want to learn more on color theory? “The Art of Education (AOE) is an innovative higher learning institution committed to delivering amazing professional development to art educators everywhere.” A couple of years ago AOE had an article presenting Kolormondo, as “a revolutionary way to teach color”. 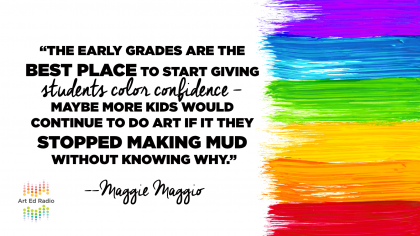 Now, Tim Bogatz of AOE has produced 2 podcasts on color theory, interviewing Maggie Maggio, who is the educational consultant of Kolormondo. 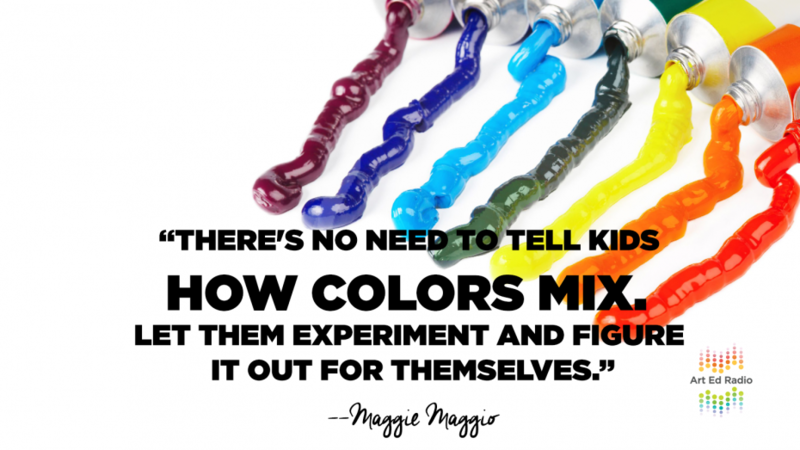 Maggie knows everything you need to know about color – and a lot more – and the podcast is strongly recommended. Enjoy! Not only because Maggie speaks of the need of a 3D color model, such as ours. She also explains why CMY should replace RYB. And much, much more. 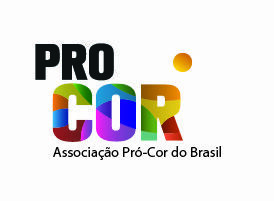 We at Kolormondo will celebrate the International Colour Day by installing ourselves as exhibitors at the convention of the US National Art Educators Association in Seattle. https://www.naea18.org/. Together with Maggie Maggio of Smashing Color (http://maggiemaggio.com/color/) we are looking forward to meet 5000 American art teachers during the upcoming days! As if that was not enough, we are also celebrating by introducing the first Kolormondo Lesson Plan, called the Coffee Filter Color Flow, contributed by Leslie Barnum, Portland, Oregon. The idea is to see with your own eyes what happens when you mix cyan, magenta and yellow – and that what you have created resembles the Kolormondo Equator piece. 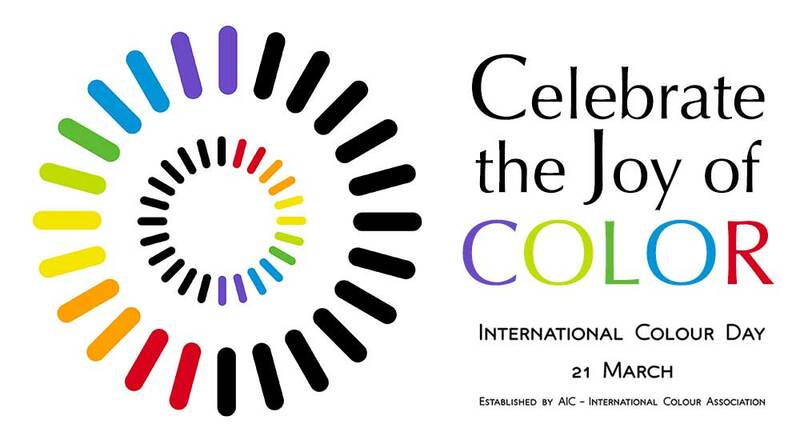 Here are a few proposals on how to celebrate the International Colour Day (from a Munsell Centennial Color Symposium newsletter). Dr David Briggs from Sydney, Australia. 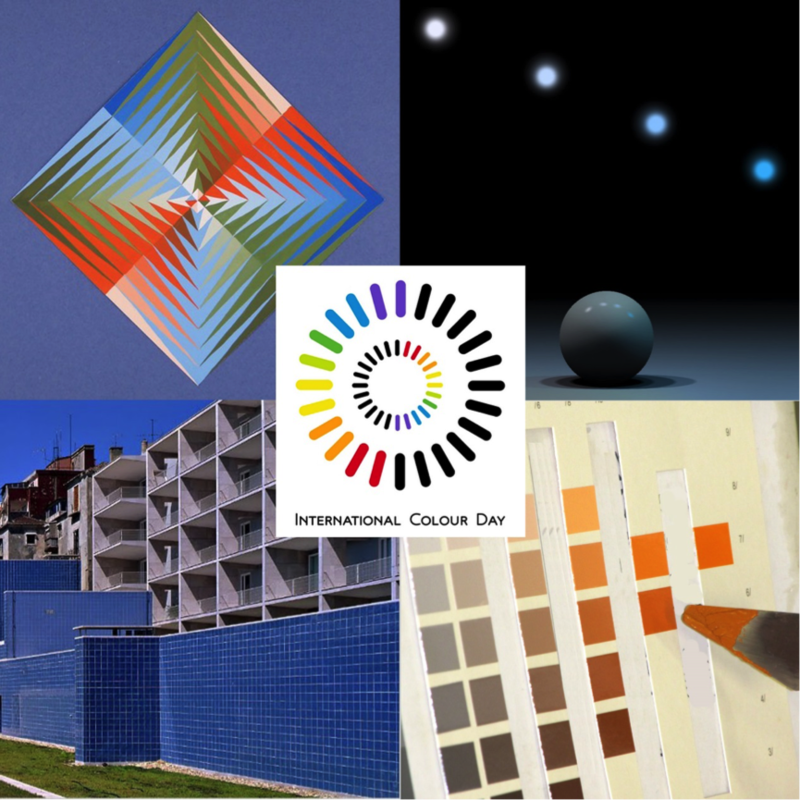 The international day of colour was proposed in 2008 by the Portuguese Color Association, whose president, Maria Joao Durao, presented the idea to the International Colour Association. The proposal was agreed in 2009 among the members of this society, which is composed of national associations and members representing more than 30 countries. 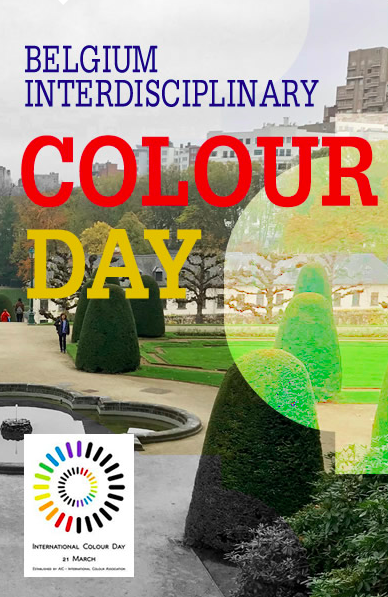 Here are just a few of the International Day of Color celebrations around the world. 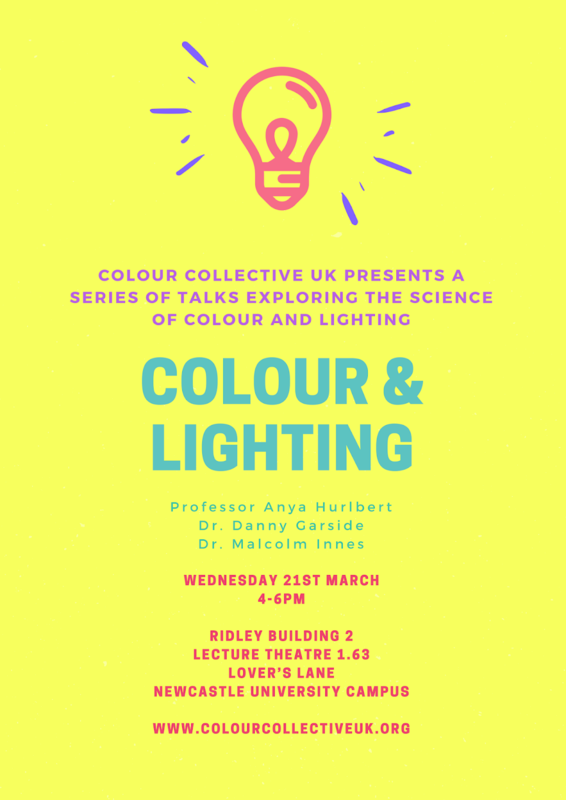 A series of talks presenting the science of color and lighting in celebration of the International Day of Colour. 10.30 am to 2.30 pm. Presented by Hélène de Clermont-grille Spirit, research director at Chanel Parfums Beauté. 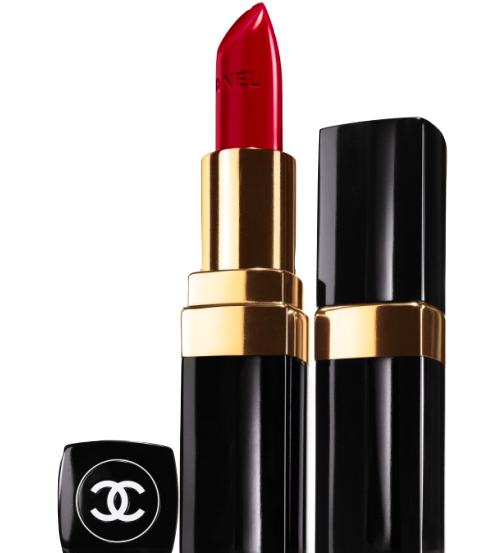 She is a passionate color lover with more than fifteen patents for make-up products. Around the equinox, the night and day are approximately equally long, symbolically relating to the complementary nature of light and darkness, light and shadow expressed in all human cultures. Take some time on the spring equinox to look around you and celebrate the colors of the world! by bridging the science, art and industry of color in the 21st century. Thank you to all the Munsell 2018 sponsors. 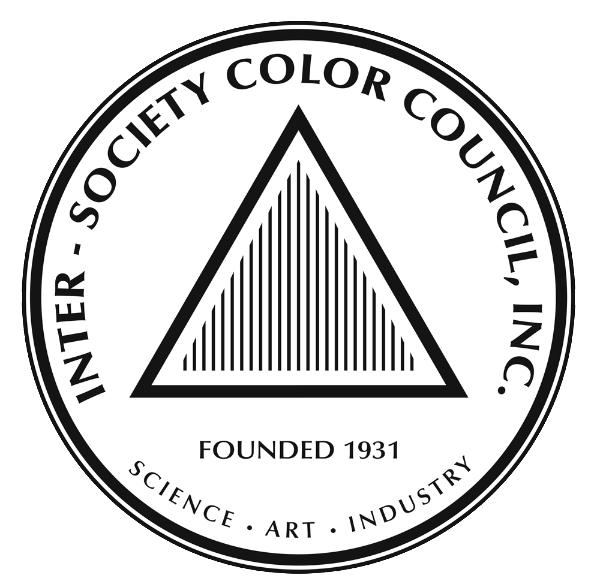 Copyright © Inter-Society Color Council, 2018 All rights reserved. “I think what’s going on in the United States now is that it’s all happening,” the woman replied. “It’s almost reflective of the conflict going on around us — where you’re not having one definite color correction, but you’re seeing examples in various areas. I think it’s mostly about mixes. Choosing exactly the right color has become a high-stakes decision. Here is a timeline of some hues that made news. On our way to Creative World/Paper World in Frankfurt. Do come around and see us, if you are there. We are in Hall 4.2, stand C35. 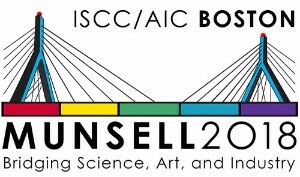 Kolormondo is a sponsor of the Munsell Centennial Symposium in Boston in June. As you can see, we are in good company. Kolormondo Mini Colour Globe is finally here! 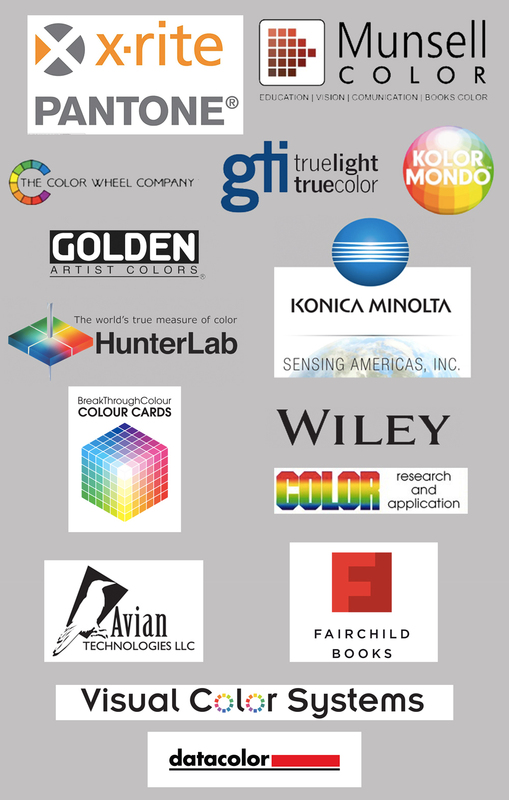 Do you want a Master´s degree in colour?